Vacations are getting started. When deciding to go abroad we should choose a destination where nature is abundant. Staying healthy is good, but it’s even better if you can recharge your energies. For that, a few days in Mexico would be favorable to be able to tackle the next twelve months. It is possible to healthy on vacation. The country’s geographical location has made it a place where nature is abundant. Indeed, Mexico’s forests are vast and are home to animals that you will not find in Europe. On a trip to the Riviera Maya The center inyou will find it to be great place. In a village called Palenque in the heart of the nature of Chiapas, you will understand what it is the true meaning of nature. In this verdant jungle, you will have the opportunity to see a cascade of the most magnificent in the world. Water is poured into a natural pool where you can swim and partake of the rich and generous nature. Again in this place, you can enrich yourself culturally by making a detour to some of the most beautiful vestiges of the Mayan civilization of the country. 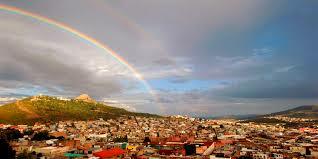 This is just a magical place among others which are famous in Mexico. Part of staying healthy is also doing physical exercises. For this in Mexico you will find many sport activities’,you just need to find the most suitable one for you. If you like the forest, you can go hiking. With a little time spent searching on Mexican sites and forums, you can find some interesting circuits. You can also go climbing on the beautiful mountains that abounds the country. To practice, you just need to find the necessary equipment or even hire road vehicles for the trip. You can also surf on the Pacific coast where the waves are great for the sport. The must-do of aquatic sports in Mexico has to be scuba diving. The wealth of biodiversity in this country’s seas makes this type of sport an essential experience.